The Wilsonville Food Bank is a satellite branch of the Oregon Food Bank. Being affiliated with the OFB allows us to purchase food and non-food items at a much lower price than if we had to purchase them from a grocery store. It also allows us to receive government supplied USDA foods at no cost. 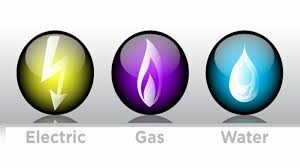 Need Help with Your Utility Costs? We’re Here to Assist You. If you or someone you know is struggling with the high cost of utility bills Wilsonville Community Sharing can help. To qualify you must reside in the Wilsonville community and be willing to show proof of your household income. All circumstances will be considered. All services are confidential. Your needs don’t stop just at food! Wilsonville Community Sharing also helps individuals and families who are struggling with the high cost of prescription drugs. Speak to our trained Information and Referral Specialist who works with each client assisting them based on the need of the individual or family. At Wilsonville Community Sharing we strive to make sure the basic needs are met for the individual and family. It is important for everyone to have a place to call home with the structure and stability that allows for future success. If you are need of Housing or Rent Support, make an appointment to speak with our Information and Referral Specialist who can help understand your needs and connect you with the resources to support you and/or your family. Wilsonville Community Sharing understands that each person’s situation is unique to every individual. Sometimes your needs may fall outside our basic service structure. As neighbors helping neighbors we are here to help in ensuring your future success. If there is a need you may have, but it is not listed within our normal scope of assistance, don’t hesitate to contact us. Our highly trained staff specializes in connecting you with the support needed. Just give us a call, we are here to help!